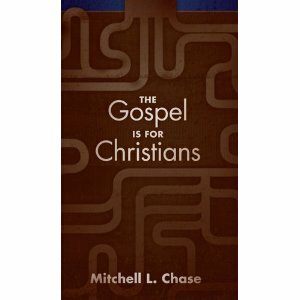 Last month Lucid Books published The Gospel is for Christians. I wrote this book out of a burden for the contemporary church to love the gospel more, to understand it clearly, and to keep it central in Christian living. Haven’t you known believers who are constantly trying to grow through clever methods and formulas? The “secret” to spiritual growth seems to always be something that someone must uncover and then disclose to others. But there is no secret to Christian growth, and there are no shortcuts. The New Testament teaches us that the gospel message (the good news about Jesus’ substitutionary death in our place that satisfied the righteous wrath of God) not only saves us but is also the message for our discipleship. Unbelievers need the gospel to know Jesus, but believers also need the gospel to live like Jesus! We need to understand the gospel clearly, and we need to apply it comprehensively to our Christian lives. The gospel is for missions, for church ministry, for Mondays, and for marriage! In short, the believer must see his or her life in light of the transformative message of the gospel. If we separate Christian living from the gospel, we will end up with moralistic deism that does not honor God. The gospel is a Christ-centered message that must result in a Christ-centered life. The gospel is for Christians!